Updates to Gail's profile since your last visit are highlighted in yellow. As of Feb. 14, 2013 I retired from Wachovia/Wells Fargo with almost 42 years of service. Gail Hutchens Nelson has a birthday today. Gail Hutchens Nelson added a comment on her Profile. 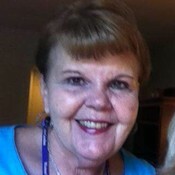 Gail Hutchens Nelson posted a message on Mary Joyner's Profile. Mary, I hope that you had a wonderful birthday and I trust that you are doing well.